Whiteflies, as the name suggests, are tiny white colored winged insects that can hamper your plants in significant ways. There are about thousands of whiteflies and are usually found below the leave foliage or the undersides. Whiteflies can not only pester your garden but can also pester your minds when you happen to see a whole colony of these white colored insects inhibiting your favorite plants. Not only do they hamper your plants by weakening them affecting their health but can also spoil the landscape of your garden and yards. They are really difficult to control and also multiply in huge numbers and can prove to be a headache for you. Thus it is essential to control these pests before they gain control over your plants and damage them top to bottom. Whiteflies are tiny miniature sized insects and can hinder the plants to a large extent by sucking out the nutrients and juices from your plants. Also while feeding on these juices, they leave a sticky substance behind in the leaves which are known as honeydew. If you happen to sight honeydew on the plant foliage, then the plants are surely infected by whiteflies. Thus you need to keep a regular check on the leaves and foliage because it can cause considerable damages if left unattended and unchecked. Whiteflies are really small in size but can annoy and harass you if they happen to populate in your gardens. 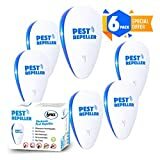 Description: These repellents are safe to use and can serve as an excellent repellent to keep of these whiteflies. This repellent serves as a natural repellent and is a thick semi-solid gel which can be very effective for treating whiteflies. They are easy to use and can be an effective way out to drive those irritating whiteflies from your plants. You can get this insect killing soap easily in the market. This solution can eliminate the whiteflies from your plants without causing harm to the other beneficial insects sharing space with these whiteflies. 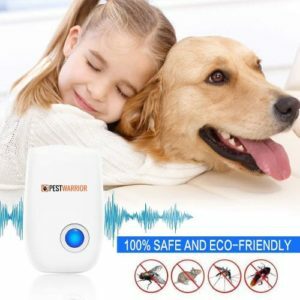 This insect killing soap composes fatty salts and potassium contents which can prove to be helpful in killing the whiteflies thus saving your plant leaves from wilting. The potassium salt content is capable of removing the outer protective layer of these insects, and the acids are enough to lead these monsters to death. Not only does this solution Kill the whiteflies but it also leaves behinds a residual trail which will repel whiteflies and pose difficulties for new whiteflies planning to attach themselves to the leaves where this insect soap solution has played its part. It is an organic way of killing whiteflies thus you do not need to be worried about the effects that it may cause to your plants and other beneficial insects ion the surroundings. 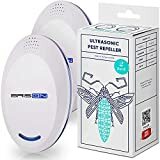 These ultrasonic pest repellents are easily available in the markets which produce an ultrasonic sound of high densities and are effective in repelling insects from your garden and yards. 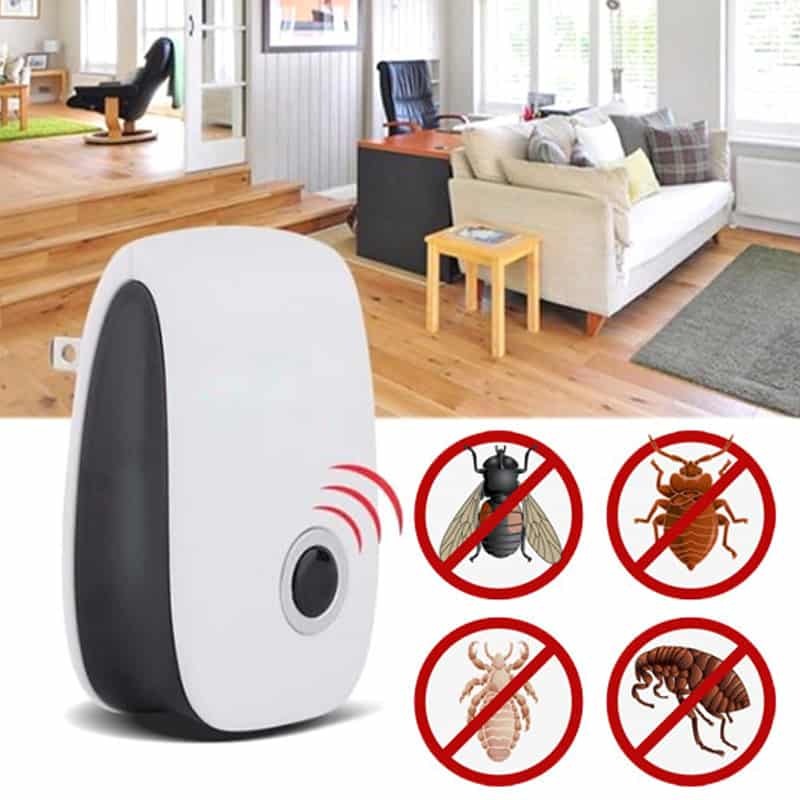 They are a money-saving device that you can install in the vicinities of your house to keep your gardens free from these unwanted guests. 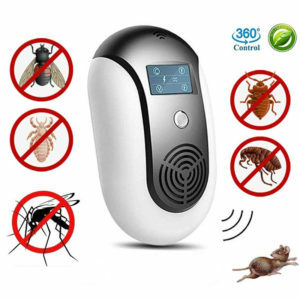 This ultrasonic device does not harm nature in any way and is an eco-friendly device to use. Neem oil serves as one of the best natural ways to keep off these whiteflies. It not only proves to be effective in shoving off these whiteflies from your plants but also prevents them from coming back to your garden to find a nesting place. You can use this Dyna- Gro neem oil spray for repelling these white flies from your plants. This neem oil solution comes in a big bottle and can serve as an excellent treatment for whiteflies. It can be used on the plant leaves which will also bring shine and luster to the leaf blades besides keeping off whiteflies from infesting your plants. You do not have to worry about using this solution on your leaves because it doesn’t clog the stomata in anyways and brings a natural shine to your plant leaves. Moving ahead of the neem oil solution, Horticultural oils are another thing that you can use for sweeping off whiteflies from your gardens. It is a simple to use spray that you can directly use on your plants to ensure a no whitefly zone in your yards. It comes in a stylish bottle and comes in a ready to use spray container to save you from the hassles of using it. Moving ahead of the natural oils, a pepper spray can work its magic in spatting off these whiteflies from your plants. Pepper spray acts as one of the Best repellents to kill whiteflies, and it serves as a great spray to control the whitefly growth in your gardens. This m8ixture comes in a ready to spray jar and can be used directly on the stems and leaves or the areas where whiteflies have infected your plants. You can gain control over the population of whiteflies by using pyrethrum. Pyrethrum is considered as one of the Best repellents to kill whiteflies. This insecticide is a widely used insecticide for killing garden pests. Thus it serves suitable to be used for kicking off those pestering whiteflies. Pyrethrum consists of pyrethrin that works as an effective agent on the whiteflies. These tiny insects are susceptible to this pyrethrin solution and finally results in mortality. Thus pyrethrin serves as an effective solution to be used for knockdown of these tiny monsters. Make sure that you spray this solution on the areas where your plant is infested by these tiny critters so that the insects come in direct contact with the solution. Sticky stakes also serve as an effective tool to knock off these tiny critters. This can attract the whiteflies towards itself and trap the whiteflies. You can use it nearby your plants which will attract the whiteflies and trap them on the stake. 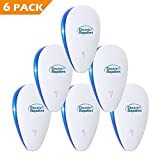 Once it is completely filled by these critters, you can dispose them off and toss in a new one to get ready to trap more insects infesting your plants. For this homemade insecticide hack, you can take two parts of rubbing alcohol along with one tablespoon of liquid soap and five parts of water and mix it thoroughly to make the homemade insecticide. Once you mix it properly, you can store it in jars and take out some portion in the spray bottles and get ready to use it on the critters causing trouble to your plants. This not only kills the whiteflies but also acts as a preventive method to keep these whiteflies off the plants. If you want to make a more effective homemade insecticide, then you can take liquid dish soap and add two tablespoons of red pepper powder to it. After this, you can add this mixture to water approximately one gallon, and you are ready with a more effective homemade insecticide. Though hard to believe but do you know reflective surfaces can also keep the white flies away? Yes, you have heard it right reflecting surfaces such as aluminium can also prove to be effective in driving off these whiteflies from your yards. For this homemade mulch hack, you just need to gather some aluminium foil from your kitchen and cut it into small pieces and use it on your plants. The reflective surface and luster of the aluminium foil will keep these critters away. The best way to use these reflective mulches is by covering the soil area with these mulches to reflect the maximum amount of light which causes these insects to stay away from the plants. The best way out of all the natural remedies of controlling whiteflies is inviting few natural predators for help. Lady bugs, birds, etc. are few natural predators that can help you in killing the whitefly drill. These predators feed on the whiteflies and thus, in turn, free your garden from these tiny critters. You can get to buy these useful insects in nurseries, or you can also attract them by planting plants such as cilantro, Tansey, wild carrots, etc. in your garden. Water plays as one of the easiest and feasible hacks to spat off the whiteflies from your plants. You can spray a speed jet of water on the leaves and foliage that are infested by plants just to witness these white colored insects dropping down from the plant. Bug Blaster is another name given to this water treatment method which blasts off these critters from the plants when you spray a water jet on the affected area. This method will not cause harm to the plants in anyways and can be considered to be a straightforward and simple method to eradicate these flies from your plants. You can also use a vacuum cleaner for the same purpose of removing whiteflies from the plants. Vacuuming the affected leaves can lift those whiteflies occupying your plants and drive them straight to the dust collectors of your vacuum cleaners. Once you are done with the vacuuming job, you can open the dust collector which must have been already full with whiteflies and dispose it off to a far off place. If you want to kill these whiteflies, then you can pack this dust bag, seal it well and keep it inside the freezer to kill the whiteflies entirely before disposing it off. This may involve some of your efforts but can help you get a pest-free plant. In this method, you need to pluck or clip off the leaves and affected areas of the plant and dispose it off to a far off place. You can cut and trim off those leaves which has whitefly population and get a pest-free garden by investing your hard work and efforts. How to spray whiteflies is a common question that haunts your mind when you find symptoms of your plants being infested by whiteflies. 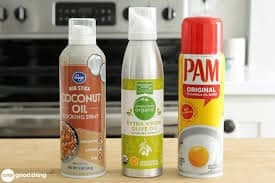 There are many sprays that you can make at home with easy homemade recipes to take control over your gardens with a full flair. You can also use the natural and horticultural oils for your killing the whitefly task. 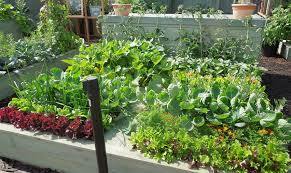 You can take a mild soap solution, mix it along vegetable oil and use it as an insect repelling spray on your plants. Simply you need to take one tablespoon of dish wash liquid and mix it in one cup of oil and half a cup of water to prepare the spray. Once you have blended all the ingredients, shake it well to have a ready to spray solution. You can spray this solution directly on the affected area to gain control over the whitefly infestation in your garden. If you are thinking of How to spray whiteflies, then garlic sprays also stand in the line of the most effective sprays that you can use in your gardens. Garlic produces a pungent smell that cannot be taken up by these critters and thus repels them. For this, you need to grind two garlic bulbs and make a garlic puree out of it. Once you are done with the preparation of the garlic paste, you can mix it with water and add one spoon of liquid soap to it to get a homemade spray ready to be used on the infested plants. You can also get soap insecticide solution in the markets, but you can prepare the solution in home as well. This is a simple soap and water mixture that you can make at home and then use the solution to wash off the leaves. This washing chore will eliminate the whiteflies and can also kill the adult whiteflies and may not be able to do the same for the young ones or eggs. So the thumb rule is that you need to keep repeating this process to check for more new whiteflies occupying the plants and it will also act as a check for all those eggs that may have hatched to give birth to adult whiteflies. Did you know even plants can help plants? Yes, you have heard it right few companion plants can help other plants to get them free of whitefly infestation. If you happen to find white fly infestation in your garden, then you can plant companion plants such as Mexican marigolds and French marigolds that can act as a repellent to these whiteflies. This may not kill the whiteflies but can be helpful in keeping them at a pace. You can consider it as a preventive method but not an eliminating method.